Het begon allemaal met een foto, waarop 11 van de in totaal 27 Belgische verpleegsters staan. Tuytens raakte geïntrigeerd door deze onbekende vrouwen, hij wilde weten wie zij waren en waarom zij in Spanje waren tijdens de Spaanse Burgeroorlog 1936-1939. Die nieuwsgierigheid leidde tot zeer interessante ontdekkingen. 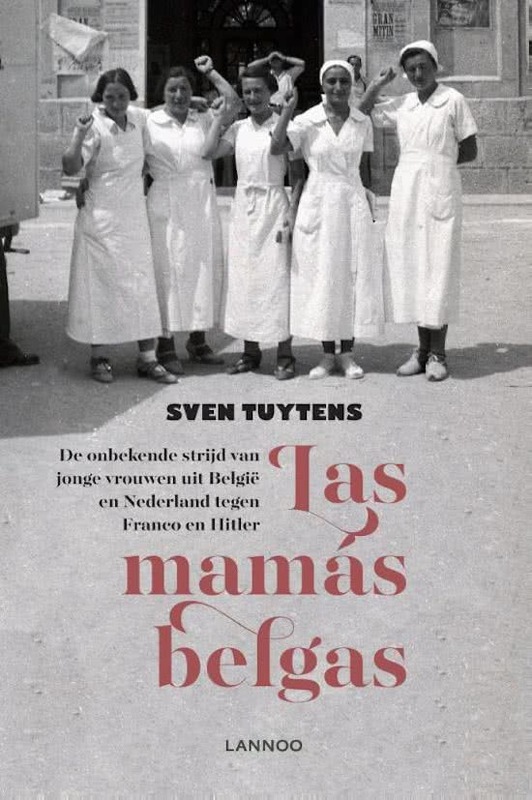 Tuytens gaf hun verhaal eerst vorm in een documentaire, maar onlangs is er ook een boek verschenen Las mamás belgas (bij uitgeverij Lannoo ) Nu nog alleen in het Nederlands, maar het boek zal ook in het Spaans uitgebracht gaan worden. In dit boek staat buitenlandcorrespondent Sven Tuytens stil bij een vergeten groep vrouwen die hun bijdragen leverden aan zowel de Spaanse Burgeroorlog als aan het verzet in de Tweede Wereldoorlog. Een aantal Belgische en Nederlandse vrouwen besloten om in 1936 naar Spanje te vertrekken, waar ze aan de slag gingen als verpleegsters. Las mamás belgas vertelt het verhaal van deze moedige en sterke vrouwen die door de geschiedenis vergeten zijn. Op boeiende wijze beschrijft Tuytens de aanloop tot hun vertrek en besteedt uitgebreid aandacht aan het verblijf in Spanje, wat lang niet altijd eenvoudig was. Ondanks hun ervaringen gingen deze vrouwen na de Burgeroorlog onverdroten verder in hun strijd tegen het fascisme door zich aan te sluiten bij de Belgische afdeling van ‘Die Rote Kapelle’ en het Nederlandse verzet bij het uitbreken van de Tweede Wereldoorlog. Las mamás belgas is een prachtig eerbetoon geworden aan deze vrouwelijke groep Spanjestrijders! 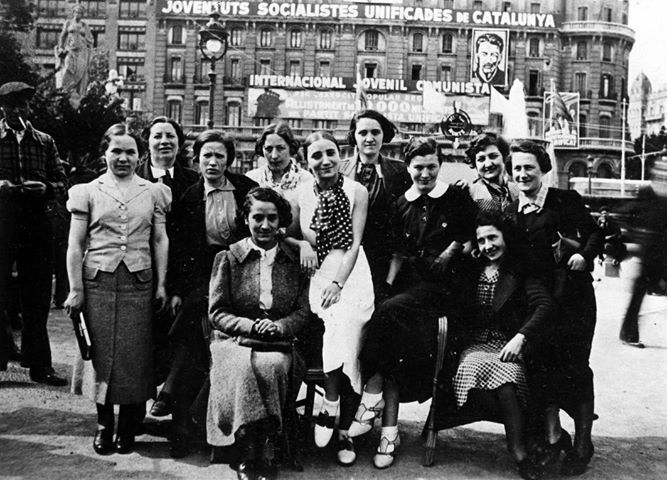 Categorieën: Books, Spanish Civil War | Permalink. 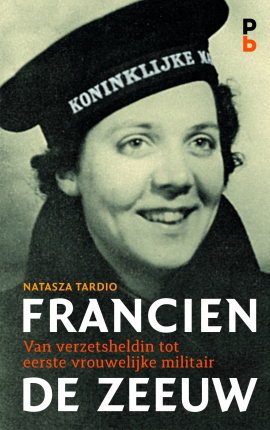 Aangezien ik in 2015 vanwege het overlijden van Francien de Zeeuw aandacht besteedde aan deze opmerkelijke vrouw, kon ik op deze site natuurlijk niet voorbij gaan aan dit boek. Het artikel Francien de Zeeuw -een powervrouw is het gevolg. Was Francien een powervrouw of overdrijven we, omdat de oorlog een lange tijd achter ons ligt…en vanzelfsprekend zijn powervrouwen niet alleen in Nederland te vinden. Een kleine zoektocht naar wat al die vrouwen verenigt. This interesting book tells the story of Dorothy Scott, a female pilot, who joined the warefforts of the Second World War. More than eleven hundred women pilots flew military aircraft for the United States Army Air Forces during World War II. These pioneering female aviators were known first as WAFS (Women’s Auxiliary Ferrying Squadron) and eventually as WASP (Women Airforce Service Pilots). Thirty-eight of them died while serving their country. Dorothy Scott was one of the thirty-eight. She died in a mid-air crash at the age of twenty-three. Born in 1920, Scott was a member of the first group of women selected to fly as ferry pilots for the Army Air Forces. Her story would have been lost had her twin brother not donated her wartime letters home to the WASP Archives. 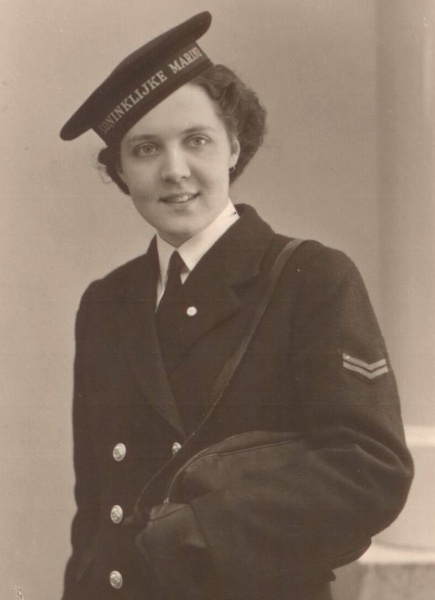 Dorothy’s extraordinary voice, as heard through her lively letters, tells of her initial decision to serve, and then of her training and service, first as a part of the WAFS and then the WASP. The letters offer a window into the mind of a young, patriotic, funny, and ambitious woman who was determined to use her piloting skills to help the US war effort. The letters also offer archival records of the day-to-day barracks life for the first women to fly military aircraft. The WASP received some long overdue recognition in 2010 when they were awarded the Congressional Gold Medal-the highest honor that Congress can bestow on civilians. About the author: Sarah Byrn Rickman is editor of the official WASP of World War II newsletter, the author of five previous books about the WASP, and an amateur pilot. Categorieën:Books | Tags:Books, pilots, women | Permalink . 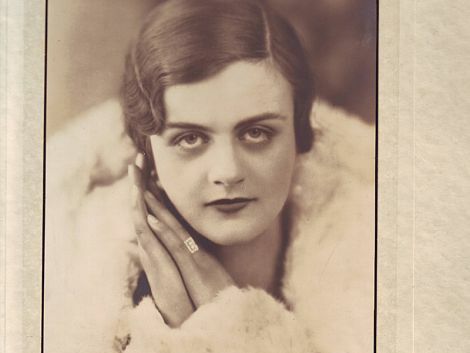 Clare Hollingworth became famous as warjournalist, because she was the first reporter who witnessed the movement of the German troops along the border of Poland. Hollingworth was working for The Daily Telegraph in those days. When she saw the activity of the German army, she wrote an article about this as she knew something was about to happen. After the war Clare Hollingworth wrote for several British newspapers abouot warzones in the Middle East, North Africa and Vietnam. Clare Hollingworth died at the age of 105. 75 years later, WASPs have won one last battle! On friday may 20th, 2016 President Obama signed the bill, which allows female pilots, who joined the warefforts in the Second World War, to be buried at Arlington National Cemetery. The women were members of the WASP -Women Auxilairy Service Pilots. They had to buy their own uniforms, they flew all kinds of planes, unarmed and 38 of them died for their country, but the final honor -a burial on a military cemetery was denied to these brave women. While recognition through medailles took also many years, was that Friday a special day in history, when after 75 years, finally this battle came to an end by one very important signature! Categorieën: Airforce, News, World War II | Permalink. On March 3, First Lady Mrs. Michelle Obama presented a special U.S. flag to retired Air Force Brigadier Gen. Wilma Vaught. Mrs. Obama want the female veterans to stand up for themselves. The military, which is dominated by men for many years and that ought to be changed. General Vaught played an important role in helping to make that change and so she was handed the special U.S.flag. In 1948 Congress passed the Women’s Armed Services Integration Act which allowed women to become full-fledged members of the military. In those days is was a revolution, said Gen.Vaught. Since then, women in the military have fought for further rights, even suing to achieve equality with men in the armed services. Thinking of the female veterans, who still struggle for recognition, one can say that the revolution is not ended yet. Categorieën: Airforce, News | Permalink. 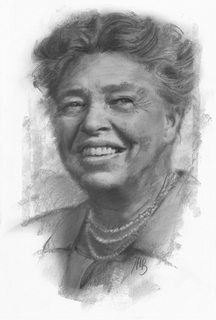 In the United States there is much going on concerning female veterans of the Second Worldwar. After nearly 70 years recognition for their war efforts is still not happened. Sarah Byrn Rickman wrote several books about the WASPs -the women who joined the Women’s Air Service Pilots and she has written an interesting article in the New York Times in which she stand in the breach for these veterans to get them the military honour they deserve. The WASPs were necessary as more men were sent to the frontlines. Planes had to be flown from factories to the docks to ship them to England. But also repaired aircrafts had to be tested; and nonflying personnel had to be transported. Several women who had their flying licences volunteered and soon the group grew. Over 1000 women flew all kind of aircrafts, in the beginning only small ones, but as the war lasted, they flew bigger planes. After the war there were no decorations, neither did they get the military status. And today, after 70 years, when a female veteran dies, her family doesn’t get permission to be buried on Arlington! Thank God, there are women like Sarah Bynr Rickman and many others, who want to restore this terrible mistake in history. All women in countries who were occupied by the Nazi’s should pay their respects to these brave women in one way or the other. We owe it to them, because they were part of the warefforts, so we all can live in peace for 70 years now.